Just give me a needle! : Finally Finsihed! So this is the dress I made for my little friend, Gracie. 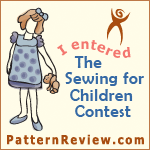 This is a dress I found in Sew Beautiful Magazine made by Kathy Dykstra. You can find the original here. Be sure to check out all her creations while you are there. She is amazing! The lace alone for the original would have set me back about $300. I couldn't justify that cost any way I tried! So I left out the lace and made my own tatting to adorn the top of the dress both front and back. Don't pay really close attention to my bullions. Some of them leave a lot to be desired, but I started on the less conspicuous ones and migrated to the ones that would be very noticeable as I got better at them. I had some issues with the floche because it wasn't as bright at my dress fabric or the DMC floss. But I liked the contrast and went with it. But I had to change out my tatting to a slightly different color to match the floche on the front. I thought the contrast looked much better matching the bullions rather than the brighter white floss. I used the brighter white tatting on the back, since I had no bullions there, just geometric smocking. I love how this turned out even if it is a much simpler version of the original. This was by far one of the most time consuming dresses I've done because of all the bullions. But once I figured out how to make them the right way, it went much faster. It's beautiful, Kathy! She's a very lucky friend. Wow! Girl, I didn't know you were making that dress! It is one of my all time favorites. How smart you are to be able to tat! I think it is wonderful, and now you've given me the inspiration to want to make one even more so. Thank you Shirley. I started on it months ago. You should make one too! !